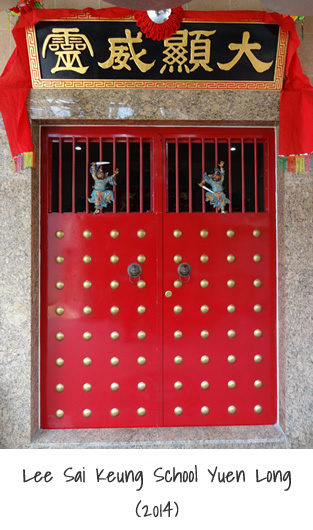 The famous Wai Chow Li Ga Cyun (Huizhou Lijiaquan 惠州李家拳) was founded by master Li Yi (李義 1794-1884). Wai Chow Li Ga Cyun (惠州李家拳Lijiajiao) is beside his Fukien Nam Siu Lam heritage very well-known for his staff forms and fighting. One of the greatest masters was Lee Fat To (李發佗 Li Fatuo), he was a true expert in staff fighting. When at a certain time there was trouble Lee Fat To was asked to settle the problem. Lee Fat To involvement ended in a staff fight. Very unfortunately for this opponent he didn't only lost the fight but also his life. Due to the death of his opponent Lee Fat To had to escape from the East River area ( 東江 Dongjiang) to avoid being arrested by the police. He jumped into a passing wagon of a train that was just passing by. He had no clue where the train would bring him. Eventually the train brought him to Gwong Zau (廣州 Guangzhou). There he had to make a living again. After some time he came in touch with the famous Pak Mei master Cheung Lai Chuen who had opened a school. He became one of Cheung Lai Chuen's first students. Lee Sai Keung (1899-1974) was born as a Hakka in the Gwong Dung Province (廣東省 Guangdong) in the Lung Gong Jyun district ( 龍岡縣 Longgang xian). 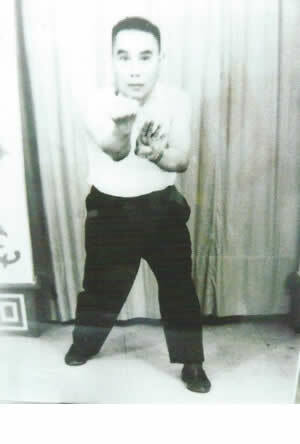 He was original a sifu in Li Ga Cyun (李家拳 Lijiaquan) but also trained Praying Mantis (蹚螂拳術). He particular became an expert and known for his skills in Lee Ga Ng Hang Chong Lan Gun (李家五行中欄棍 Lijia Wuxing Zhonglan Gun ) and the art of Dit Da (跌打 Dieda). As a "Li" and a Hakka (客家) Chinese this is what he learned in his home village. He was one of the first students of Cheung Lai Chuen. Lee Sai Keung was introduced to Cheung Lai Chuen by his Li Ga sihing (elder kungfu brother) Lee Fat To. 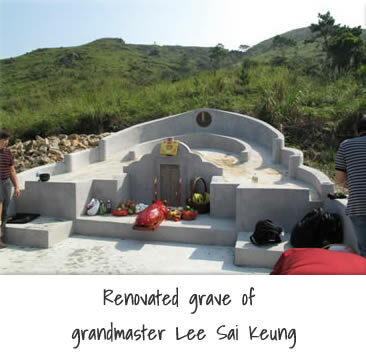 He introduced his younger and talented Lee Ga kungfu brother Lee Sai Keung to Cheung Lai Chuen in the 1930's. The friendship with Lee Fat To and because Lee Sai Keung was famous for his traditional medicine helped the acceptance by Cheung Lai Chuen. In the next coming years Lee Sai Keung would follow and learn from Cheung Lai Chuen. Besides training kungfu he would also cook, make tea, etc for Cheung Lai Chuen. 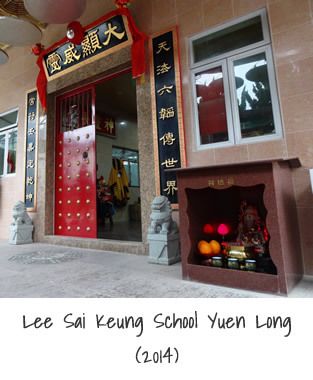 In many times when Cheung Lai Chuen was teaching at other schools, Lee Sai Keung was looking after the young children of Cheung Lai Chuen. 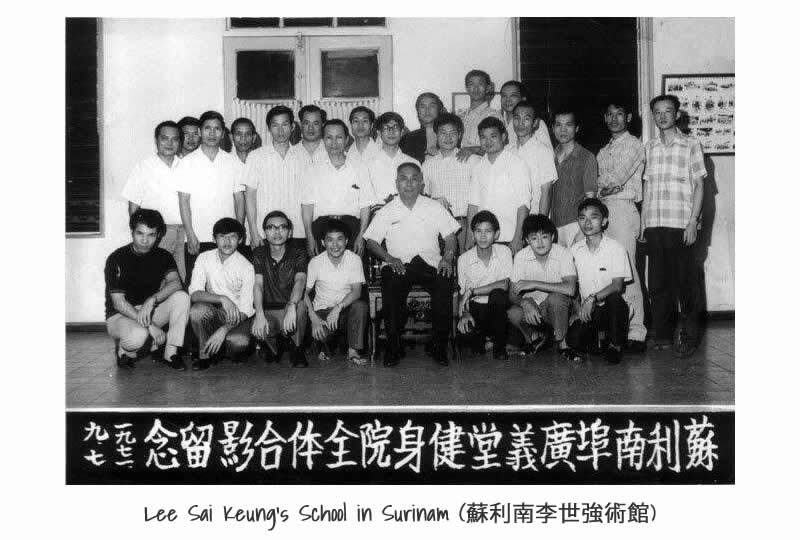 When the students in Surinam ones asked Lee Sai Keung why he was always so alert and jumpy. 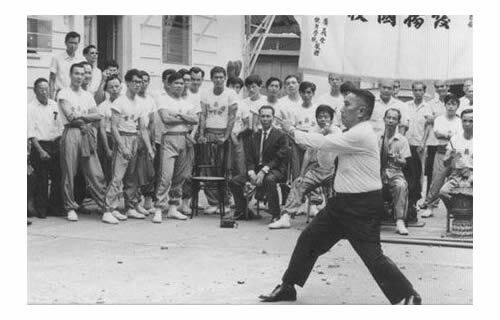 He told them that in the time when he was trained by Cheung Lai Chuen the training lasted 24 hours a day. At any moment he could expected an attack of his master. He had to be constantly alert. Even when he was washing his face he looked with one eye to see of his master wasn't attacking him. After he completed his training in Pak Mei he accompanied Cheung Lai Chuen as an instructor at the Whampoa Military Academy (黃埔軍校 Huangpu Junxiao) on Ceong Zau Island (長洲島 Changzhoudao). There he became instructor under the supervision of Cheung Lai Chuen. and to his right Chan Jik Soeng (陳績常). Once while he was giving a group of soldiers instructions, a soldier with a bayonet questioned why they should learn and made a sort of challenge to Lee Sai Keung. Lee Sai Keung accepted and was very willing to show. The soldier prepared and with within a wink of the eye Lee Sai Keung rushed forward with the Pak Mei Tiger Step and closed in on the soldier. Before he could make a movement the soldier noticed that Lee Sai Keung had him under control. Still these days footwork and fast stepping is a significant part of the training. During the civil war Lee Sai Keung returned to his home village and stayed in the Lung Gong Waang (龍岡橫 Longgangheng) area. Since 1946 he taught Pak Mei to members of the Li family like Lee Lap San (李立新) in San Tun Tsuen. 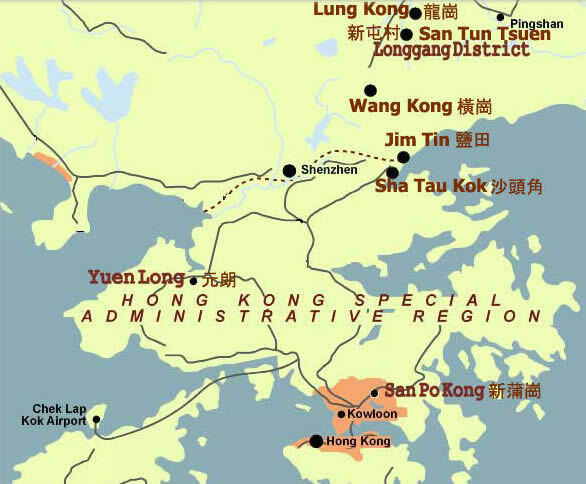 In this period Lee Sai Keung had training halls in: San Tun Tsuen (新屯村 Xin Tun Cun), Lung Kong (龍崗 Longgang), Wang Kong (橫崗 Henggang), Jim Tin (鹽田 Yantian) and Shataukok (沙頭角 Shatoujiao). After the war in 1949 he settled in Hong Kong and opened training halls in Yuen Long (元朗 Yuanlang) and in San Po Kong (新蒲崗 Xinpugang). Lee Sai Keung was as many Hakka short of body and strong build. 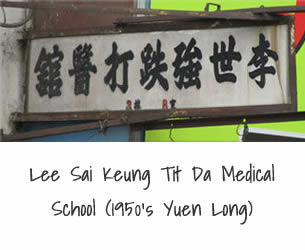 After the decease of Cheung Lai Chuen in 1964 Lee Sai Keung became one of the head teachers of Pak Mei Pai in Hong Kong. In the training hall of the Hakka village Tai Kei Leng Yuen Long (大旗嶺元朗香港) there are still two panorama pictures from 1962 and 1964 of the Pak Mei society and in the middle sits Lee Sai Keung. 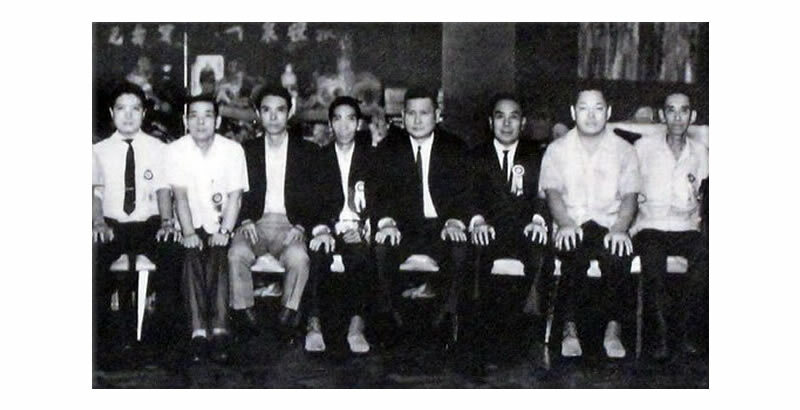 Other well known sifu's on the picture are Un Ho Bun (院浩 Ruan Hao Bin) writer of Pak Mei (nine step push) book and Ng Yiu (吳耀 Wu Yao) writer of the Pak Mei tiger fork book. 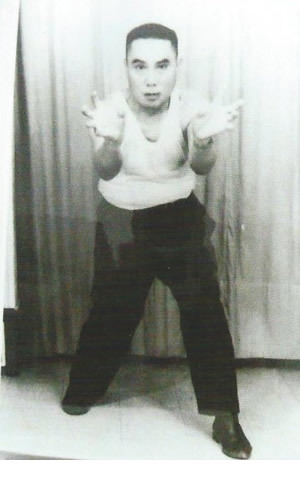 The Chinese community in Surinam (苏里南) (South America 南美洲) thought during the sixties that a kungfu master was needed for them to make them less vulnerable. For the Chinese community there was at that time no fitting martial arts available. It was possible for them to learn Toi Kyun Dou (跆拳道), but this Korean art didn't fit their ethnic background of the Hakka's. The first Chinese immigrants in Surinam in 1853 where Hakka Chinese. 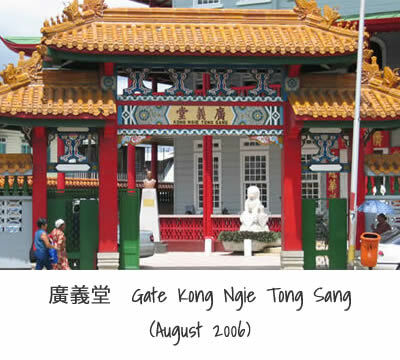 And later the majority of the Chinese were also Hakka, so Hakka languages (客家話 Kejia hua) became the general language between the Chinese in Surinam. In those day's many Chinese shop and restaurants were robbed or extorted by non-Chinese. These robbers were usually physical much bigger and stronger. A delegation left from Surinam to Hong Kong in search for a master. Many masters presented themselves in Hong Kong. But the interest of the delegation was in a Hakka sifu of the Chu Ga Nam Tong Long Pai (朱家螳螂派 Zhu Jia Tang Lang Pai). Unfortunately this sifu was not available. The name of Pak Mei Pai had also crossed their way and after a demonstration of sifu Lee Sai Keung (he did some break- tests) they were impressed. 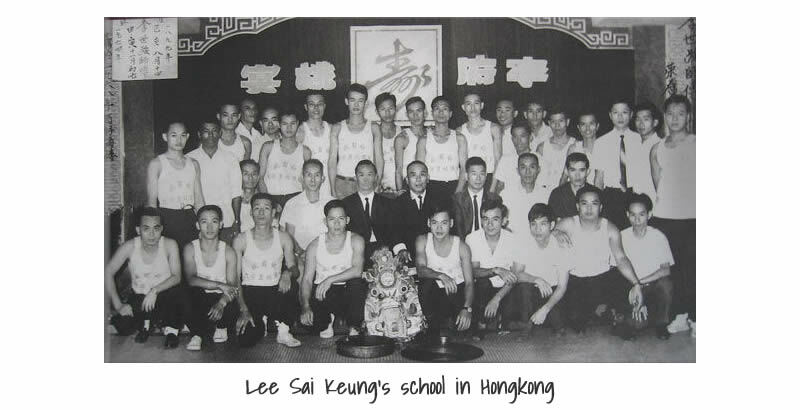 At that time Lee Sai Keung was the head teacher of the village Tai Kei Leng Yuen Long. 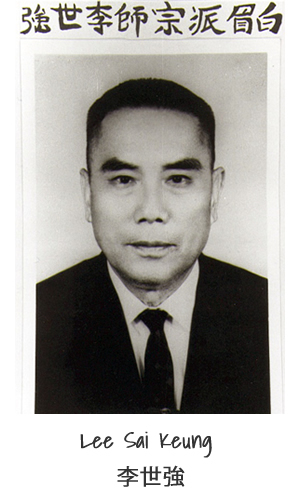 On request of the Chinese society "Kong Ngie Tong" (廣義堂) Lee Sai Keung left in 1968 for Surinam. The Kong Ngie Tong Sang was in those days the largest and oldest (est. in 1880) society in the capital city Paramaribo (首都帕拉马里博) of Surinam. With great enthusiasm he was being received there and many took part of his lessons. In the training hall in the building of the Kong Ngie Tong Sang, were he taught, there were two levels. The beginning student trained downstairs and the seniors could also have lessons upstairs. Like many very traditional masters Lee Sai Keung was reluctant to teach non-Chinese (often half Chinese weren't taught). Also because the problem was that Lee Sai Keung only spoke Chinese. The school was a great success and many attended. After some time when the level of the students was high enough, master Lee Sai Keung appointed some assistant-instructors. Now it was also possible for even larger groups to be trained in Pak Mei Pai outside the main building of the Kong Ngie Tong Sang. Small schools were made in suburbs of the capitol city Paramaribo, in other towns like Meerzorg and after some time even in the neighbouring country of French Guyana. He made his students train for many hours and he wasn't very open-handed in teaching new techniques or forms. Before the student started his training he had to pay his respect to the ancestors at the altar by burning 2 incense sticks and making 3 bow to the altar. 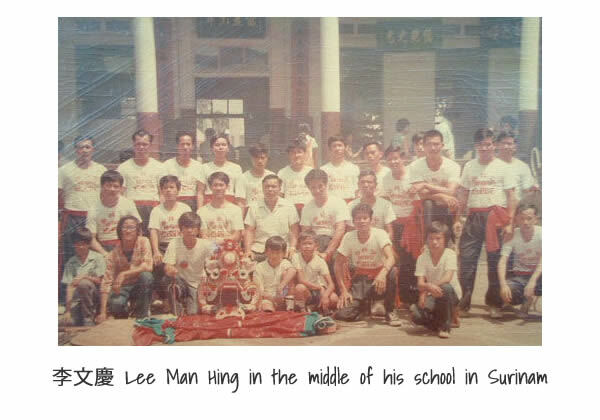 Lee Sai Keung never held any exams, if the student's level was good enough he could learn more. During practice of the students, Lee Sai Keung came into the hall for some adjustments and then he disappeared again to his room to return later again. A not unknown way of traditional teaching. After the students learned two forms they asked their sifu Lee Sai Keung if there were more forms to learn? The old master was smart, laughed a little and said nothing. After a long period of practice of the first two forms and doing a lot of basic exercises, someone new came to join the lessons. This student had learned some Pak Mei in Hong Kong. When the old master wasn't around he showed the other students some movements of the form Kou Bo Toi (九步推 nine step push). Aha, the students thought, so there is more to learn. They had to let their sifu know that they knew there was more to learn. But the strict etiquettes permitted them from asking this direct to their master. Soon the opportunity came when they took master Lee Sai Keung on a trip to French Guyana. After the journey they invited their master on a banquette and during the meal they asked again about the other forms. Now the old sifu could not longer keep the other forms secret for his students and learned them all. On his 70th birthday he gave a demonstration and everybody that attended was full of praise of Lee Sai Keung's speed and power in the forms. In the same year Lee Sai Keung became 70 years old, he decided that after only 3 years he had to leave Surinam and go back to his home village. This was due to a "fortune teller" who told him he would die in a country far overseas. In December 1974 Lee Sai Keung deceased in Hong Kong. His funeral was paid with contributions of his students. At first the school in Surinam had no sifu to teach them, some senior students gave lessons. Because the students wanted to continue their study they invited Lee Man Hing (李文慶 Li Wenqing ) the second son of Lee Sai Keung to teach them. His elder brother Lee Man Tat (李文達 Li Wenda) had taken over the schools in Hong Kong. After many request Lee Man Hing decided to take his fathers place and went to Suriname.